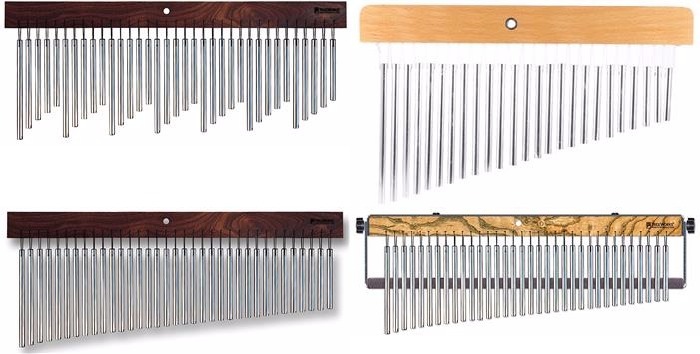 Familiarizing yourself with the bar chime is a relevant step in learning this musical instrument so that you will be able to know the details of this percussion before you proceed into buying. 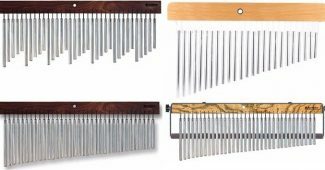 A bar chime refers to a percussion instrument that consists of metal chimes ranging in a variety of sizes in order to protrude a variation of sounds (raising and falling) which were known as the glissandos. Typically, the chimes were attached and hung on the mantle bar. This instrument is technically being played using the fingers and sticks to release the sounds from the chimes. 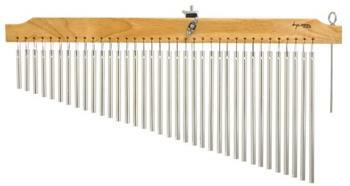 The bar chime can produce unique harmony and soothing sounds for a serene type of music. As enumerated here in this review, you will have the ideas on what brand that suits your preference and style. 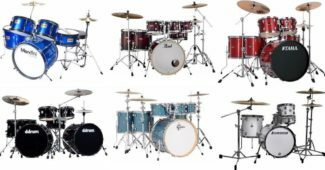 You may choose from the signature and respected manufacturers namely TreeWorks, Tycoon Percussion, Rhythm Tech, and Ammoon for a reliable and outstanding quality bar chimes. TreeWorks Chimes TRE35 Check here! 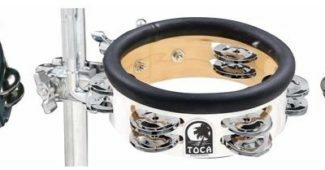 Tycoon Percussion 36 Chrome Chimes Check here! Ammoon 25-Tone Bar Chimes Check here! TreeWorks Chimes TRE630 Check here! TreeWorks Chimes TRE35xo Check here! Get the feeling of tranquility when listening to the beautiful crisp and crystal clear sound of this 35 bar chime. The metal bars were built using chime alloy, aluminum, and titanium that produces the shimmering, lush, and ethereal sound. When it comes to the mantle part, it was constructed using the tough Tennessee hardwood coated with a hand rubbed oil finishing for its sophisticated appearance. Moreover, the bars were attached using a super sturdy micro braided cord for a durable hold. In addition, this instrument contains unique tuning blends that can be compatible in any musical genres. 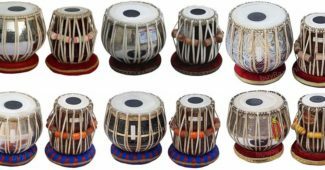 In terms of its price, this percussion instrument has a reasonable price considering the quality of its craftsmanship and sound protrusion. Listen to the beautiful waves and chromatic sounds of the 36 chimes while sweeping them using your hands. 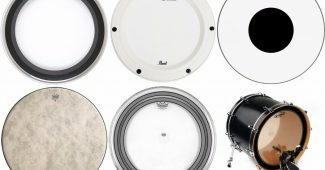 The Tycoon Percussion has what it takes to compete with any of these percussion instruments mentioned in this product review. This instrument was crafted with aluminum alloy to its metal bars while Siam Oak Wood finish for the mantle. It brings out amazing tonal diversity due to its quality construction and it is designed to be applicable in any musical settings. It is also offered at an affordable price so it satisfies the budget friendly buying option. 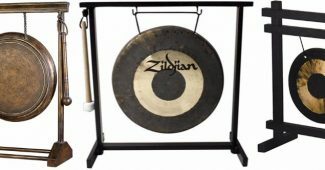 Partner your drum set with this modernized bar chimes containing 10 metal bars for its amazing crisp and relaxing sounds. It has a built-in mounting function so that you can attach it to your cymbals, DSM Quad, or DSM2. The chimes were constructed using an aircraft aluminum material. 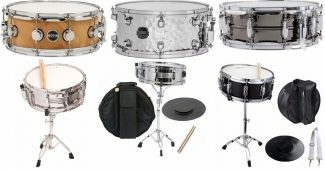 This product was absolutely cheap than the rest of the percussion instruments mentioned in this review. 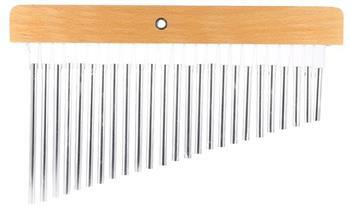 In a musical choir, worship, and any soothing sounds, this Ammoon bar chime is suitable to your particular music genre. It contains 25 single row chimes that can be played by sweeping the fingers on the metal bars. It projects amazing gentle and crisp sounds. It is also ideal for a children’s musical education and school programs. Do you want to own a concert type percussion instrument? 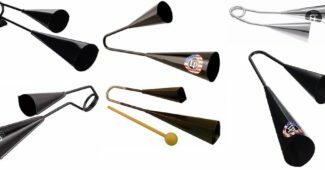 You may try this product of TreeWorks that offers chimes built with aluminum and titanium alloy. In addition, it contains a large single row chime accompanied by the dampening arm. The 3/8 thick chimes were polished and tempered with T-6 for a brilliant, crisp, and ocean wave tones. When it comes to the mantle finish, it was constructed using the solid hand-crafted Tennessee white ash wood to make it look traditional. If you want to attach it on your cymbals, you may do so since it has built-in mounting brackets and screws. Acquire this awesome percussion instrument at an incredibly reasonable price. Kick start your music with the rendition of TreeWorks’ chimes. 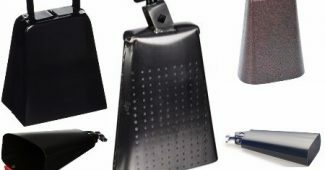 This brand offers a great deal for exotic chime sounds that gives the percussionist a haunting delay and chorus effect. This instrument is patented with The Echo Tree trademark system that enables to portray the haunting and chorus sound. Moreover, the mantle of this chime was built using a hand-crafted Tennessee Black Walnut material in Nashville Tennessee. Generally, it is played by the top 24 Drum Corps and popular among the musical therapists. When it comes to the bar chimes, these were constructed using an aluminum and titanium alloy whereas the cords were made with a Cordloc technology for a durable and secure hold of the metal bars. 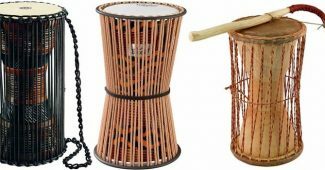 As compared to its price, it is really affordable in spite the amazing qualities of this percussion instrument hence, a worthy investment to buy for. You should be critical in observing the mantle of the bar chime since it was responsible for keeping the chimes in place. Take considerations whether you’ll choose a metal or wooden made mantle based on your need and preference. Typically, a wooden-made is much heavier than the metal since the former contains compact and solid material than the latter. In addition, the metal can be prone to rust if expose to wet and humid places while the wooden-based can be irresistible to fire and porous to water. Regardless of what material you would buy for, just make sure to handle the instrument with care so that you will be able to prevent it from any future damages. For the mantle built, some bar chimes were constructed using a Siam Oak wood, Hardwood (Tennessee White Ash or Black Walnut), or metal alloy. Some prefers to have a wooden-based mantle because it is traditional and natural to look at while some wants to try the modernized style of metal. Typically, the chimes were crafted using aluminum and titanium alloys for a sleek design and to allow the creation of sounds. When hitting a metal alloy material, it will release crisp, crystal clear, sharp, and pleasant pitch which is good and relaxing to hear. Apart from the material, you should also check the quantity of chimes attached on the mantle bar that provides a better combination with your other musical instruments. #3. Do you prefer a mounted or not? 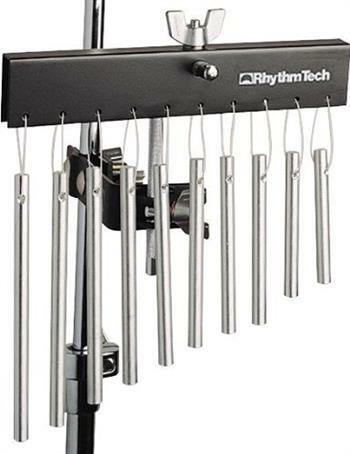 If you need an additional harmony and rhythm to your drum set, you must look for a mounted type bar chimes so that you can attach it to the cymbals. Otherwise, you may choose the bar chime without mounting brackets and screws if you prefer to buy a handheld bar chime.